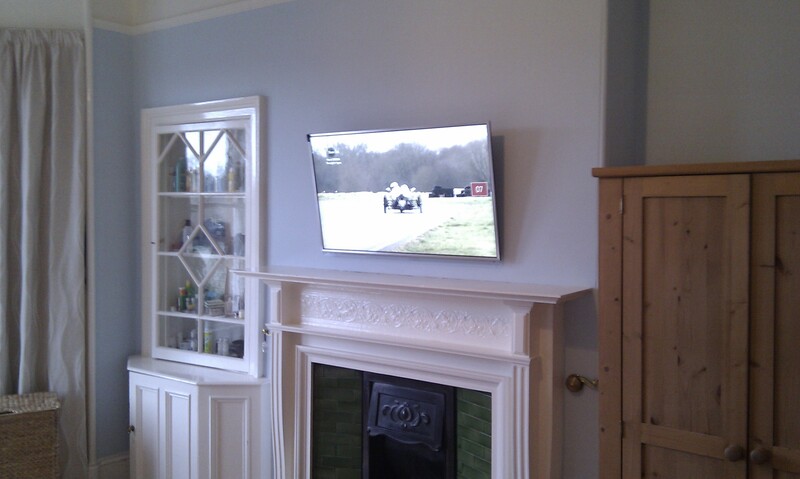 The clients were looking to have a Panasonic 42” screen mounted on above their fireplace in their bedroom with a high definition cable box sited in a small cupboard for TV viewing. 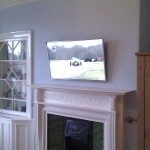 This project was carried out in two visits, with HDMI, aerial and electrical cables channelled and plastered into the wall on the first visit. 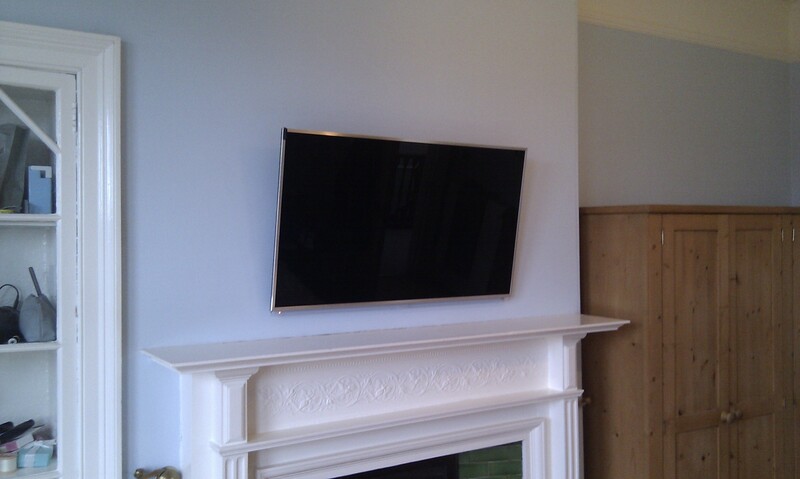 On the second visit, once the room had been decorated and made free of dust, the TV was installed on a special bracket which tilts downwards toward the bed to gain the correct viewing angle. 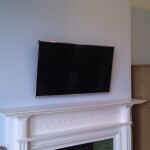 A discrete infra-red repeater system allows full control of the source components which are sited inside a closed cupboard to the left of the TV.